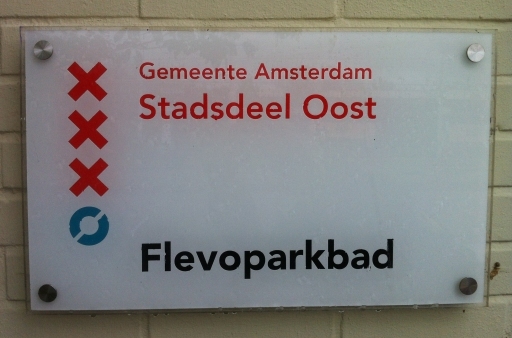 The Flevoparkbad Lido Association (Dutch: Vereniging Flevoparkbad) aims to give as many people as possible the opportunity to come and swim and relax at the most beautiful open air swimming pool in Amsterdam. The Association was formed by a group of people who love this fantastically situated lido in the eastern part of Amsterdam. 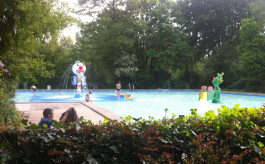 If on Mondays to Thursdays temperatures are 25 degrees or more the lido will sometimes stay open to the public until 7:00 pm with the last entry at 6:30 pm. There is no Evening Swimming for members on those days. You can check the official website of the city council or call 020-692 50 30. Monday to Friday: 10:00 am to 5:30 pm. Last entry at 5:00 pm. Saturday and Sunday: 10:00 am to 5:30 pm. Last entry at 5:00 pm. 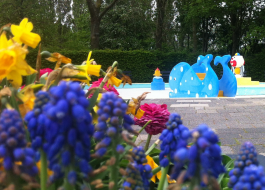 In collaboration with the lido and other parties, we run special activities in and around the pool to get publicity for the lido and to attract more people who live in the neighbourhoods around it. We offer a range of weekly courses such as Swim4fit swimming, yoga, taiji and outdoor training. And hopefully we’ll see the return of Breakfast Swimming. 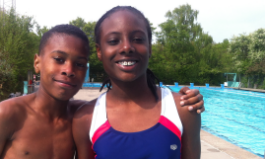 By becoming a member you show your support for the lido. Moreover, you can enjoy all the activities organised by our association. 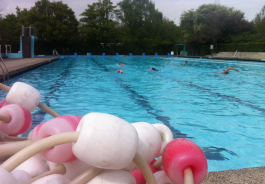 To start with, you can come to the lido for an early morning swim or an evening dip. These early and late swimming hours are reserved for members only. Membership is € 10.00 per year. For the early morning and evening hours you will also need a season ticket (seizoenkaart) or a twelve swim ticket (12-badenkaart). The 12-badenkaart needs to be a laminated paper card, not a electronic card. A members’ season ticket costs € 81.40 in 2018. To become a member, fill out the form at the bottom of this page. Can I stay in the pool between the end of the Early Morning Swimming hours and the start of the regular opening hours? Yes, but you must leave the water at 9.30am because there are no lifeguards at that time. 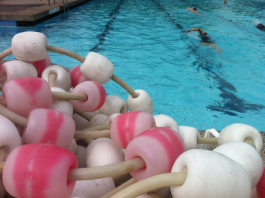 Our volunteers finish at 9.30am and the pool’s regular lifeguards do not start until 10am. But you can wait that half hour near the café where they serve good coffees. Can I enter the lido before Evening Swimming begins? Sometimes members like to come early but find reception closed. Please remember that our association is run by volunteers only. 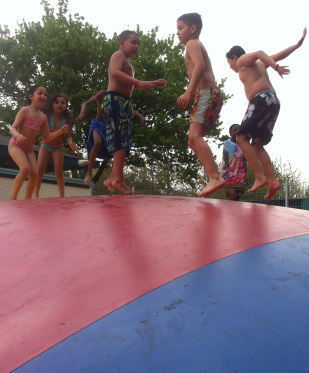 The receptionists and the lifeguards are all active members who do this work as volunteers. 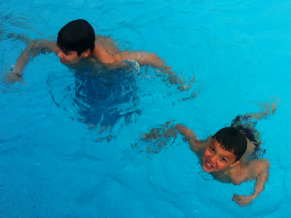 Are there special rules of conduct during the Early Morning and Evening Swimming hours? Yes, in addition to the general rules of decency and responsibility, there are few rules that apply, partly due to the liability of the volunteers and our association. Changing in and out of swimwear is permitted only in the changing rooms and not at the poolside. You may only swim in the 50-metre pool because this is the pool we rent, not the shallow arm of the pool. Always do what the lifeguards ask you, like leave the pool because of thunder, only fast swimmers in fast lane. When Early Morning and Evening Swimming hours are over, you must leave the lido, including the lawns. 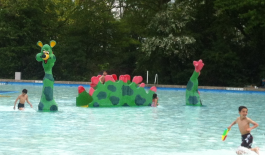 Under 16s must be supervised in the water by their parent or adult (16+). 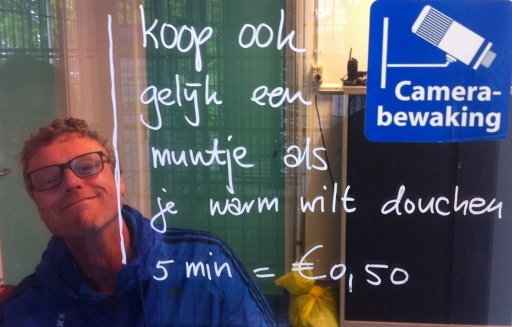 How can I pay for a twelve swim ticket (12-badenkaart) Early Morning and Evening Swimming hours? You can pay in cash or pin with your debit card. You can buy shower coins (€ 0.50) at reception to use the six hot showers. 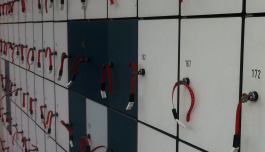 You will need a regular € 0.50 coin for the lockers (refundable). We do our best to keep a stack of € 0.50 coins at reception but they’re often in demand so we may not always have them available. 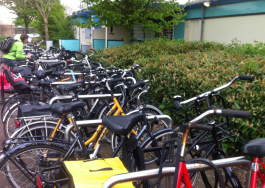 Please complete the Dutch registration form to register as a member. You will receive an email with payment instructions. 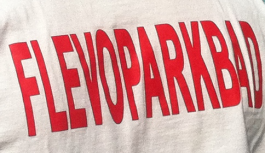 Membership costs €10.00 per year. If you do not receive this email, please first check your spam folder and then send an email to the members’ registration at ledenVFB@gmail.com asking them to check your email address and to send the confirmation.